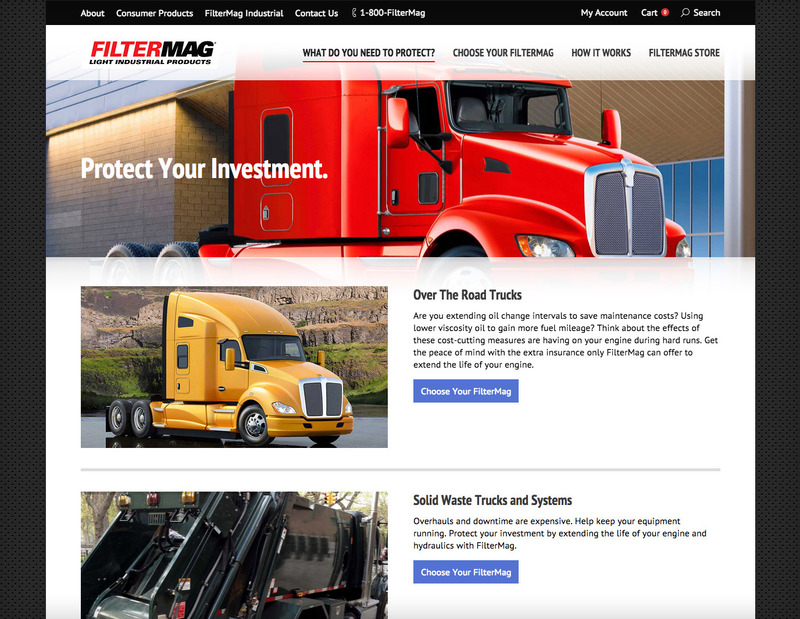 FilterMag International is a company we have been working with for about ten years, and they recently approached us to have Tornado assist them with a technical overhaul of their ecommerce and marketing web sites. 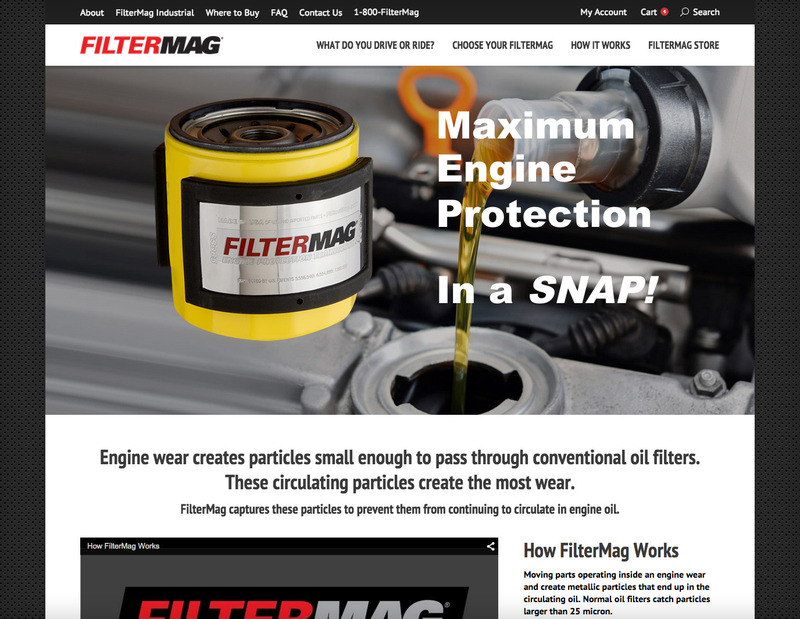 FilterMag manufactures and sells magnetic devices that attach to a car or vehichles oil filter. The magnet removes small metal fragments from the engine. 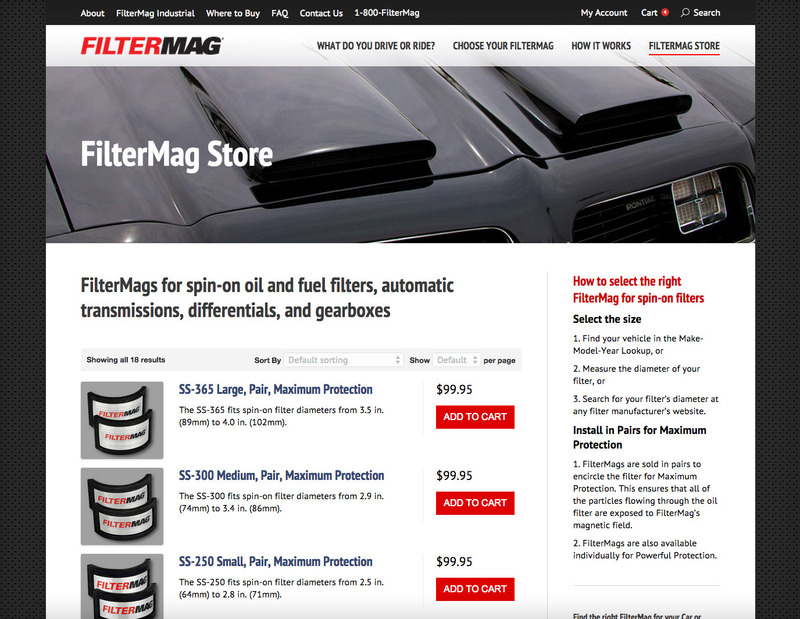 FilterMag makes products for nearly every vehicle, including classic cars, boats, and industrial vehicles. The first stage of this project has included launching a new site for their consumer line of products, as well as a light industrial product site. Future plans include a relaunch of their heavy industrial site, as well as their line of products for airplanes. We have worked with Performance Design on this project and they have handled a significant amount of the creative and content preparation. We’ve handled the technical, ecommerce, and hosting arrangements, and a small amount of design and plugin management. We also integrated the theme with a custom make-model-year lookup system. The new web sites are responsive, and work across devices. The new sites are based on WordPress and use WooCommerce for the backend ecommerce system. The new sites utilize a new FilterMag look and feel that is being rolled out across the brand. To visit the web sites, check out shopfiltermag.com.